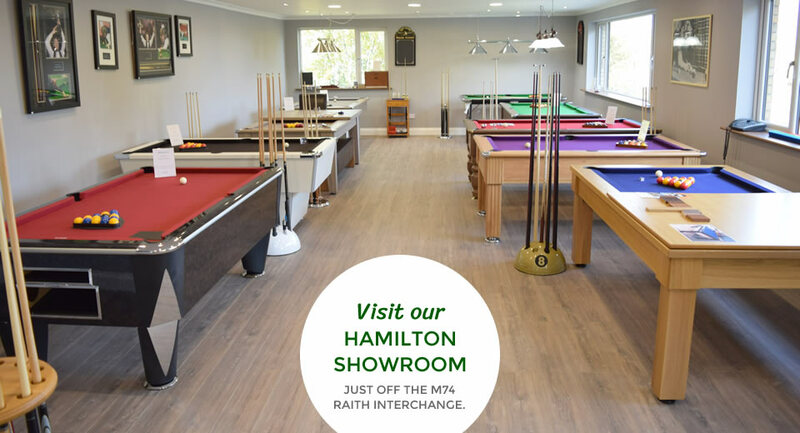 Our Pool Table showroom is conveniently located in Hamilton, Central Scotland (just off the M74 Raith Interchange) and is within easy reach of Glasgow and Edinburgh. We have a wide variety of pool tables available to view and experts available to guide you through the entire process which will provide you with the pool table that best suits your home. To get a taster of what is in store, please view our 360째 Showroom VR Tour below. When buying a pool table you may want to talk to our experts face-to-face. You do not require an appointment to visit us but if you have a day/time in mind then just let us know.